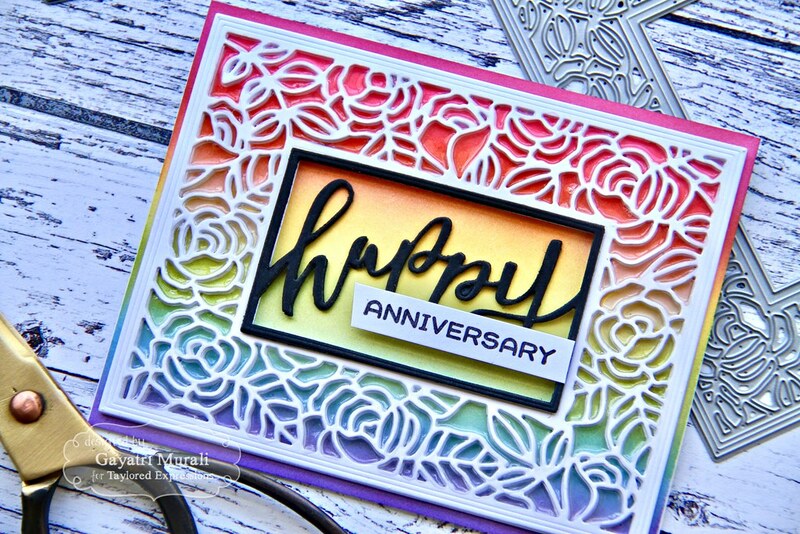 Taylored Expressions April Release Day #3 Sneak Peek! Welcome back! Happy Wednesday everyone. Today is day #3 of the sneak peek from Taylored Expressions. I have three projects to share with you. So lets get straight into it. The first new product I am showcasing here is called Bye Bye Sleep stamp and die combo. 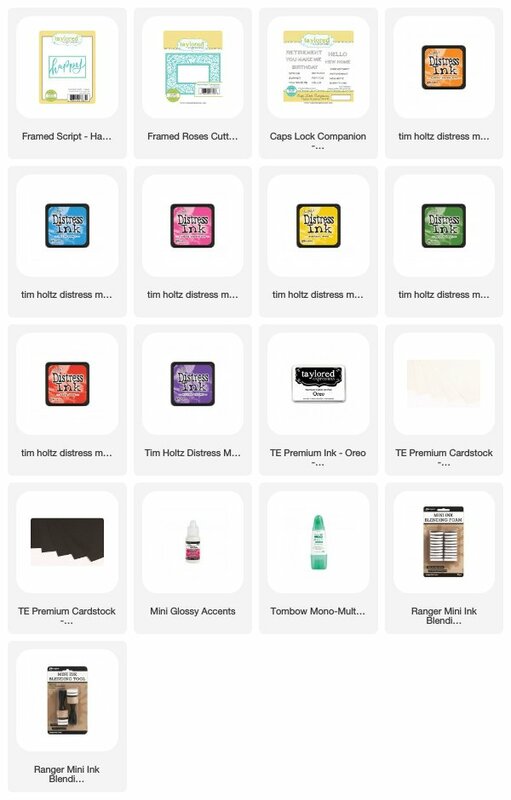 This is cute stamp set with die all in one to make baby cards. How happy is that baby peeking out? 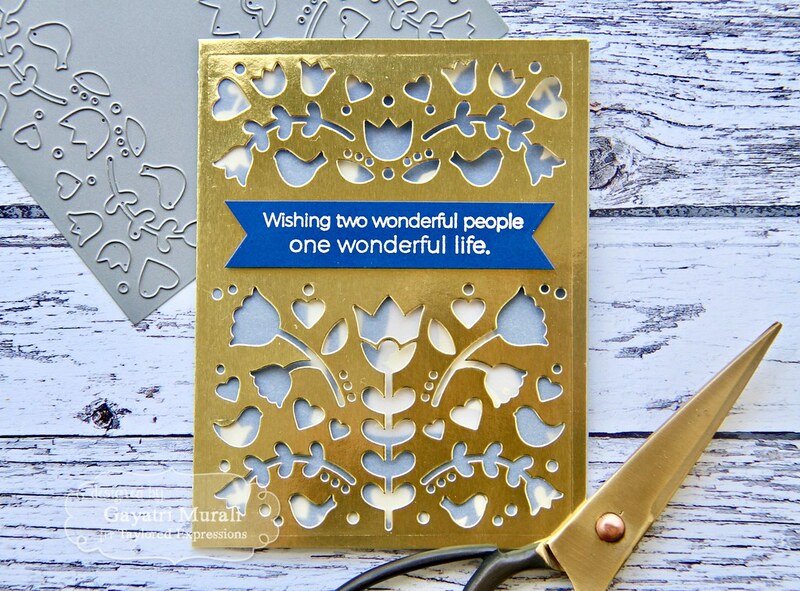 This is my project using this stamp and die combo. 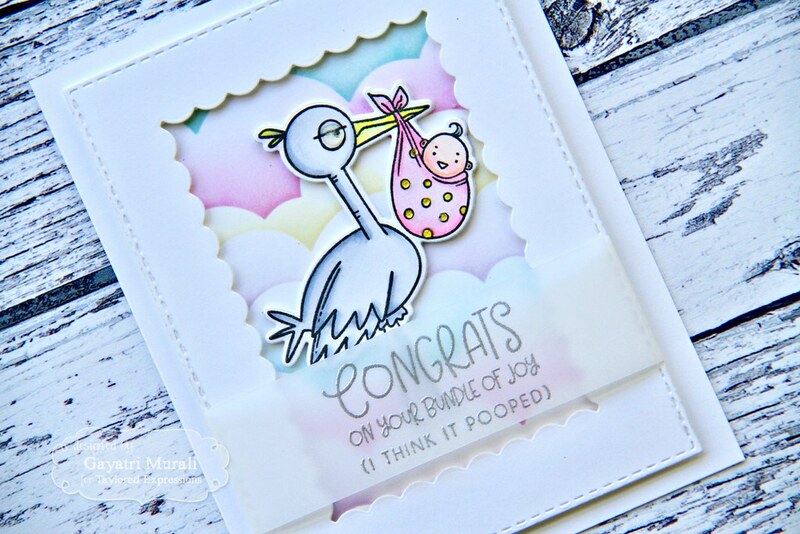 I used the clouds stencil and TE dye ink in Lavendar Glaze, Cupcake, Sprinkles and Potato Chip to sponge to make the background on Sugar Cube card stock. Then I die cut a Sugar Cube panel using the largest of the stitched rectangle die and the third smallest of the Inside Scallop Rectangle die to make a frame. I adhered this frame on to the clouds background I created using foam adhesives. I stamped the image from the Bye Bye Sleep stamp set using Oreo hybrid ink on Sugar Cube cardstock. Then I coloured the image using copic markers. Using the die from the set, I die cut the image out and adhered using foam adhesives inside the frame. 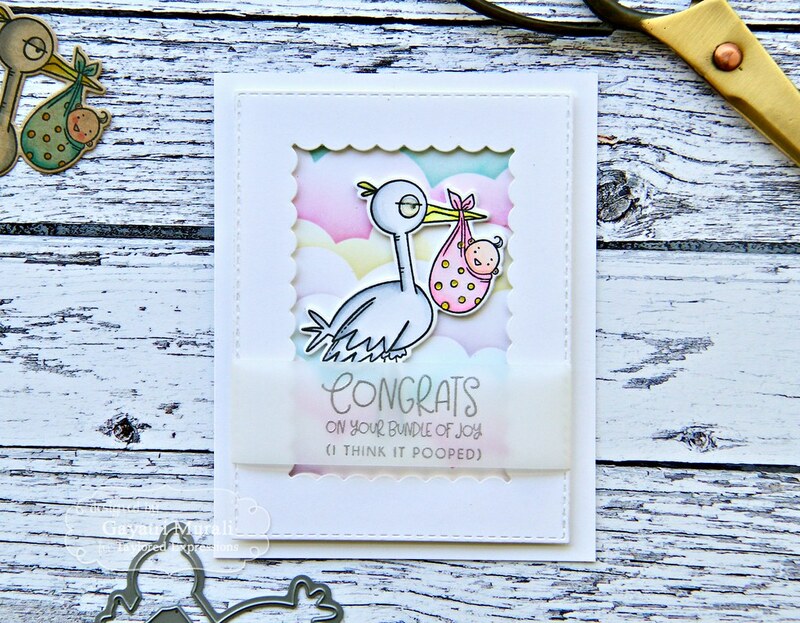 The sentiment from the stamp set is silver heat embossed on vellum paper and wrapped around the panel before adhering to the card base. Love all the white with pops of pastel colours. 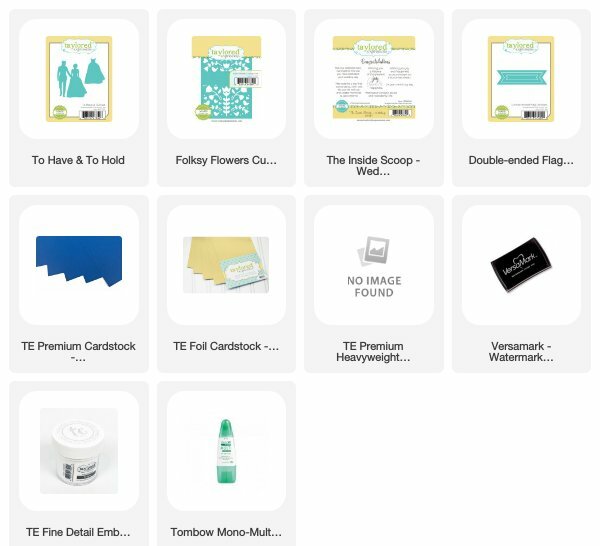 Now my second project is a wedding card. 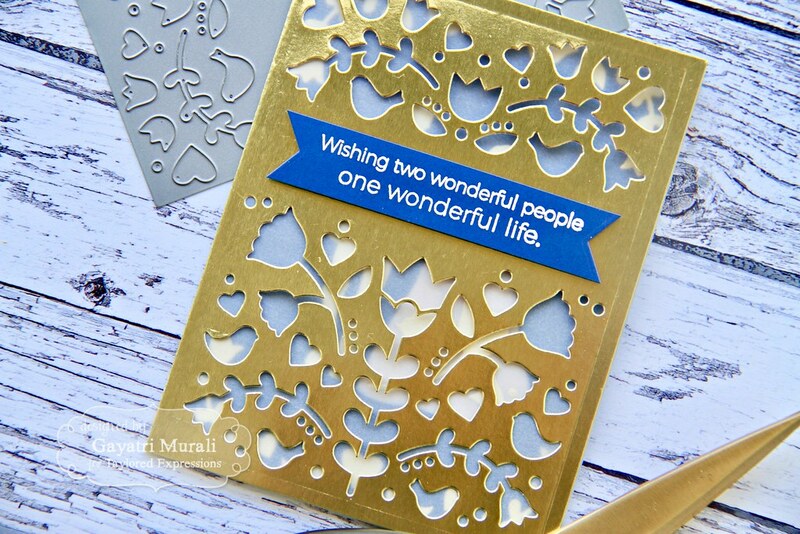 I have used two new dies to make this project. The first one is called To Have and To Hold die and the second one is called Folksy Flowers Die. 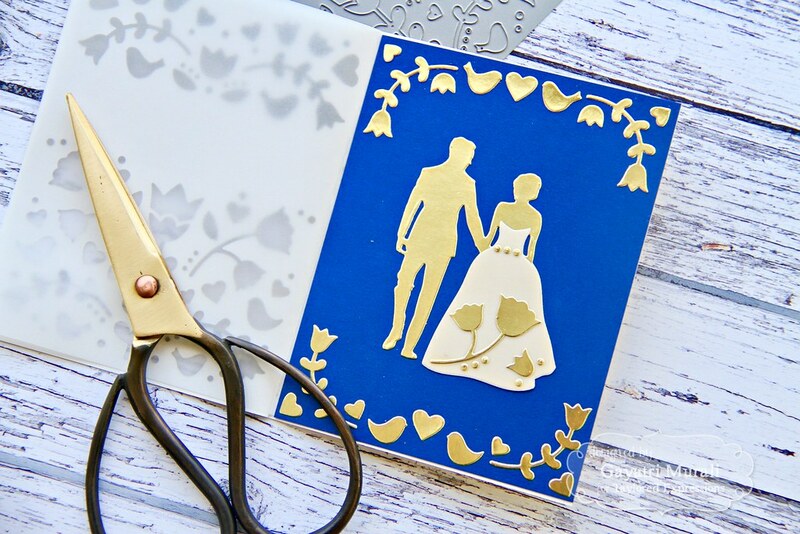 The sentiment is from a new stamp set called The Inside Scoop-Wedding stamp set. This set has gorgeous wedding based sentiments. 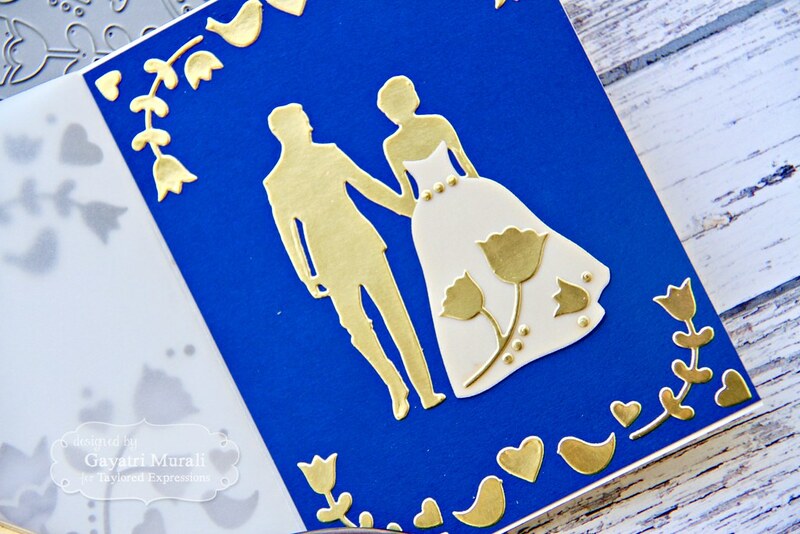 So the outer card base is made using the TE gold foil cardstock and Folksy Flowers die, with the sentiment from Inside Scoop Wedding white heat embossed on Blueberry cardstock. On the inside of the gold foil card base I added a vellum layer. 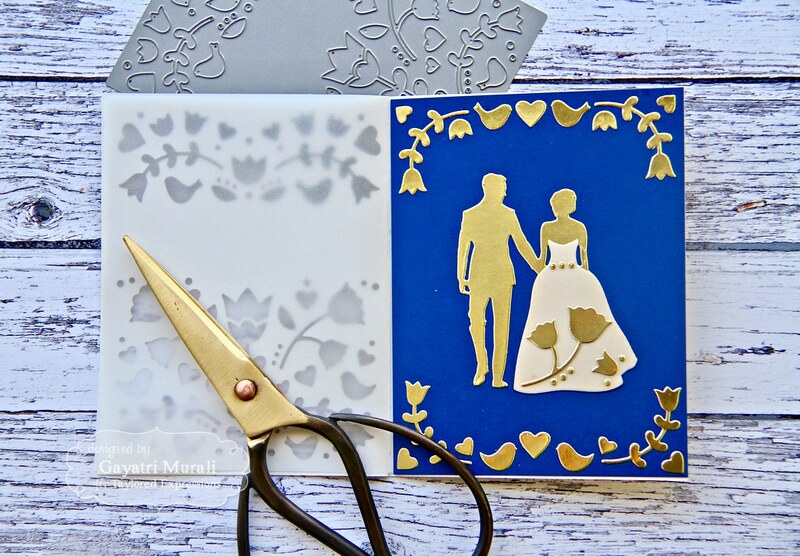 This layer softens the card and covers the inside die cuts showing through the opening of the Folksy Flowers die on the card front. Hope I make sense. The third card showcases another new die called Framed Script Happy Die. 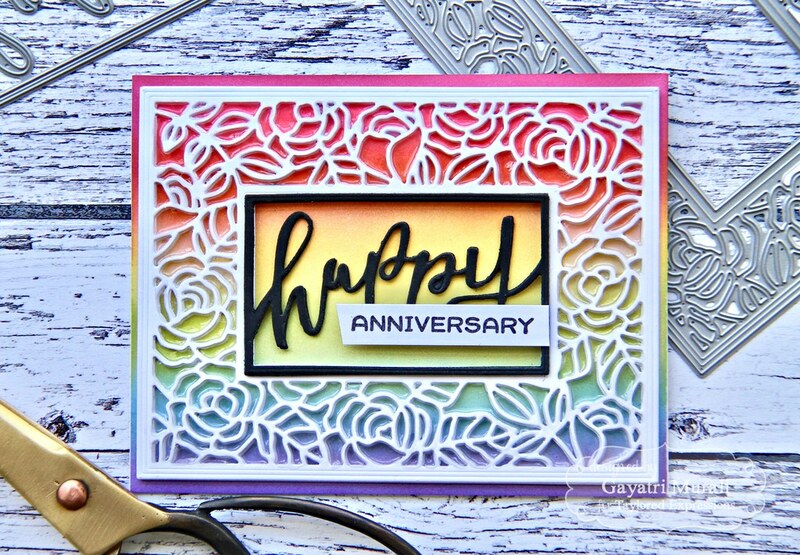 I used an older die called Framed Roses Cutting plate and an older stamp set called Caps Lock Companion Occasions stamp set to make this rainbow card. The background is sponged in rainbow colours of distress inks. Then I die cut the Framed Rose cutting plate five times using Sugar Cube cardstock. I stacked glued them for dimension. I adhered this on the card front. 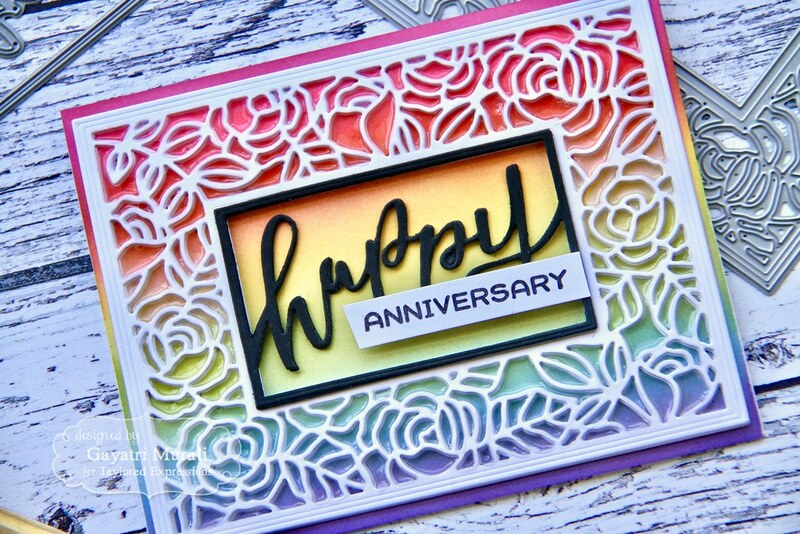 The Frame Script Happy die I die cut using Oreo cardstock three times, stacked glued them all and adhered on the centre of the Frame Rose cutting plate on the card front. 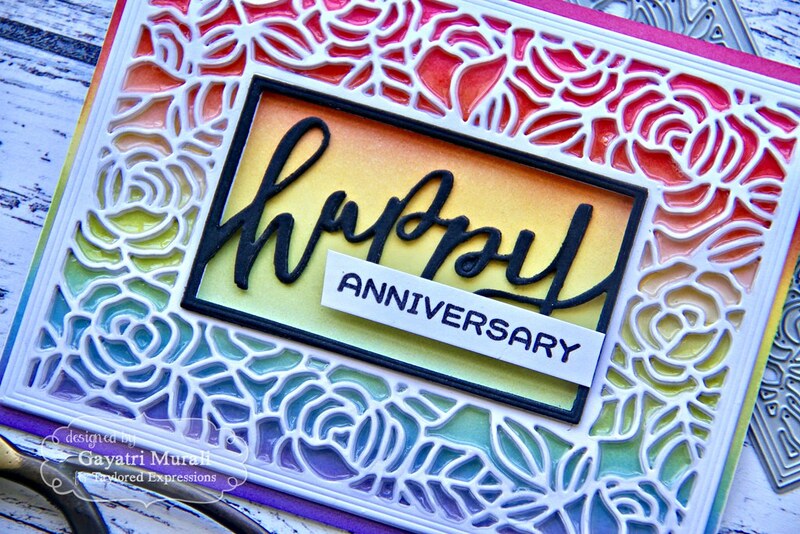 The secondary sentiment from Caps Lock Companion Occasions stamp set is stamped on white strip of cardstock using Oreo hybrid ink and adhered as shown. Finally I added glossy accent to all the wells of the Frame Rose cutting plate to give stained glass finish. Thank you very much for taking the time to visit my blog today. 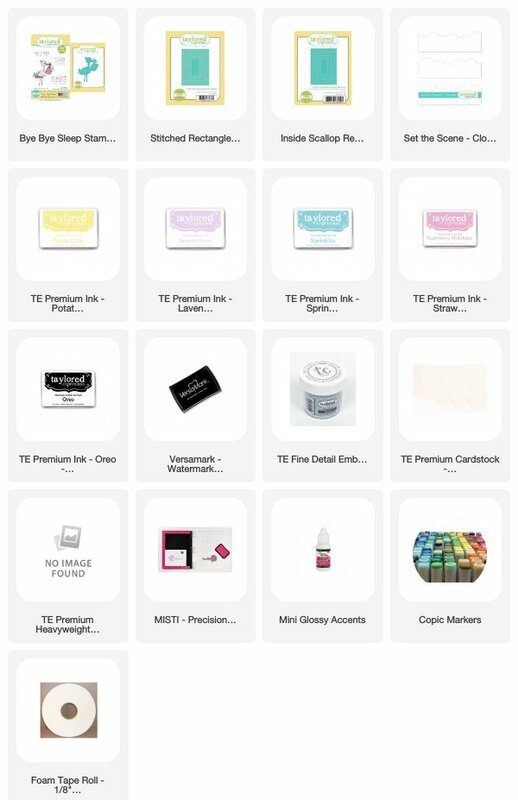 Tomorrow is release day with all products available for purchase from TE store. I will see you tomorrow with more projects. Fantastic Cards! The backgrounds on the 1st and 3rd card are fabulous! And the 2nd card is stunning! 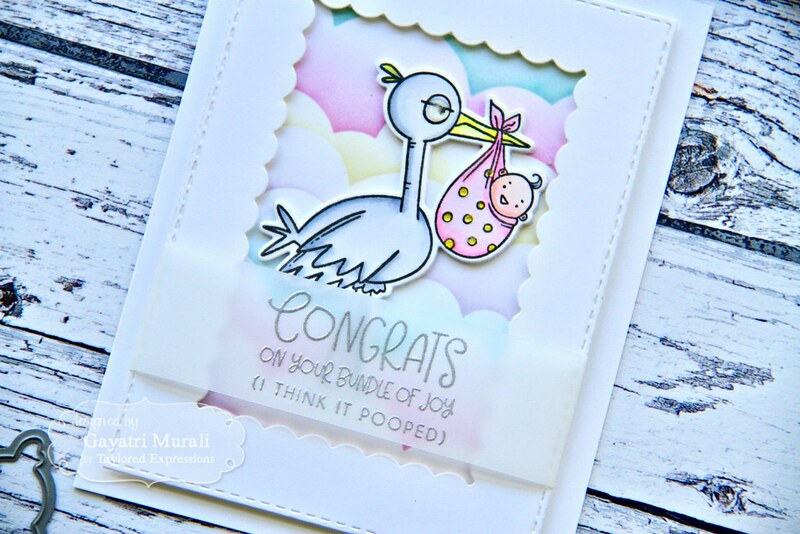 Such lovely creations with the new products!